Enjoy the Park - but let's be careful out there! 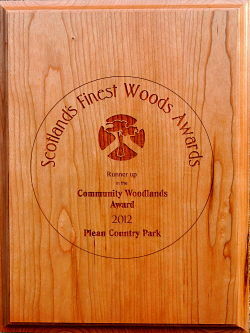 Plean Country Park is a friendly and safe environment in which to enjoy the countryside. However, everyone should be aware of their surroundings at all times and look after their own safety. The park is used for all types of activities, dog walking cycling and horse riding as well as simply walking. All users should be respect the right of other users to enjoy the park and take steps to avoid potentially dangerous encounters. In particular be aware of animals and how they might react. If you are in charge of an animal it should be under control at all times and should never be a threat to other park users. Equally if pedestrians or cyclists encounter an animal they should behave in such a way as to avoid frightening the animal and causing it to panic or behave dangerously. Be aware of the surface conditions. Conditions in the park can vary tremendously from one day to the next throughout the year depending on weather conditions. Wear appropriate boots and clothing. Make sure you're carrying a phone when venturing into the more remote parts of the park - there may not be many passersby if you fall or have an accident. It is sensible to keep to the paths - most of the park away from the house and meadow areas is covered in uncontrolled natural vegetation with associated hazards of dense thorny bushes and fallen trees. Be aware after periods of bad weather that there may be fallen trees in an unstable condition. Keep your eyes open, avoid them and if they look dangerous, report them to the ranger. Paths can become very muddy and slippery in winter and there may be times that it is more expedient to turn back rather than go off track to avoid problem surfaces. Structures such as benches, picnic tables, steps and bridges may be affected by vandalism. Please do not use these if they are broken. Problems are dealt with by the rangers and council staff as quickly as possible but it is wise to be on the look out for hazards yourself!